At MLive Media Group, we are responsible for reporting the news of the State of Michigan. We do that and so much more, through our newspapers, website, and other means. But the momentum around our good news—our most shared content—is always high, compelling us to do more to tell the good news of Michigan. 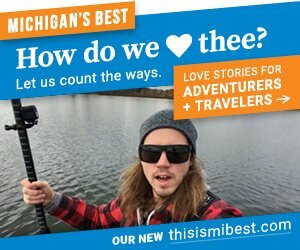 The Michigan’s Best site, ThisIsMIBest.com is a spot where foodies, travel lovers, tech fans and anyone curious about life in the Mitten can find uplifting stories that might help them plan their next adventure – or just put a smile on their face. 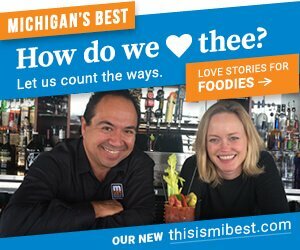 For Valentine's Day, our love of this state gets bigger with the launch of our website, thisisMIBest.com. We are so excited to share this with you. We’re a movement that harnesses the power of social media to tell and share Michigan’s good news. These stories are meant to be shared. Getting involved in Michigan’s Best means sharing your stories through platforms like video, social media, print and display. It means aligning your brand with highly sharable, entertaining and uplifting content via vlogs, sponsorships and other media. Our most committed partners will be aligned in the brand and marketing of Michigan’s Best at a mass level. There are so many ways to be part of the movement. 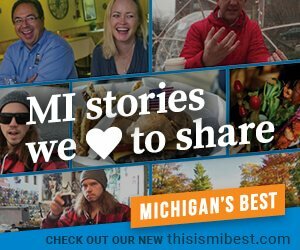 The content and articles that are part of Michigan’s Best are stories by reporters for MLive.com, and branded content from our advertising partners living side by side. 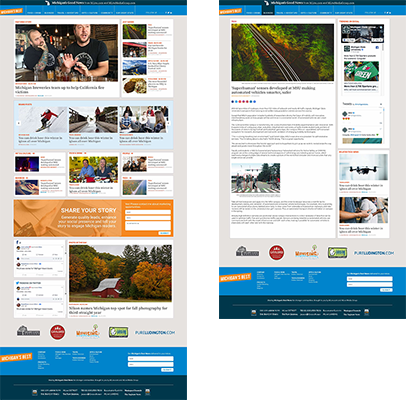 Editorial content originates on MLive.com and is promoted through Michigan’s Best. Our partner’s paid content originates on ThisIsMIBest.com. Michigan’s Best content is promoted using the power of the MLive Media Group audience. There’s intensive advertising for the Michigan’s Best brand living on MLive.com. Our stories are even more present in social media, creating awareness and audience through the posts, comments and shares of our audience. Articles found on ThisIsMIBest.com are promoted through the power of social media, to generate the kind of movement and groundswell these great stories deserve.